Surrounded by mountains on one side and the beach on another, the urban sprawl of Los Angeles seems to melt away as soon as you hit Santa Monica. 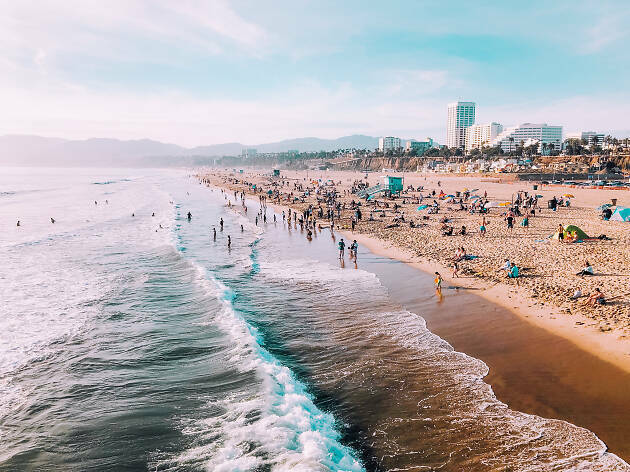 This beachside city has a charm all of its own and is the essence of that classic postcard picture of Southern California. 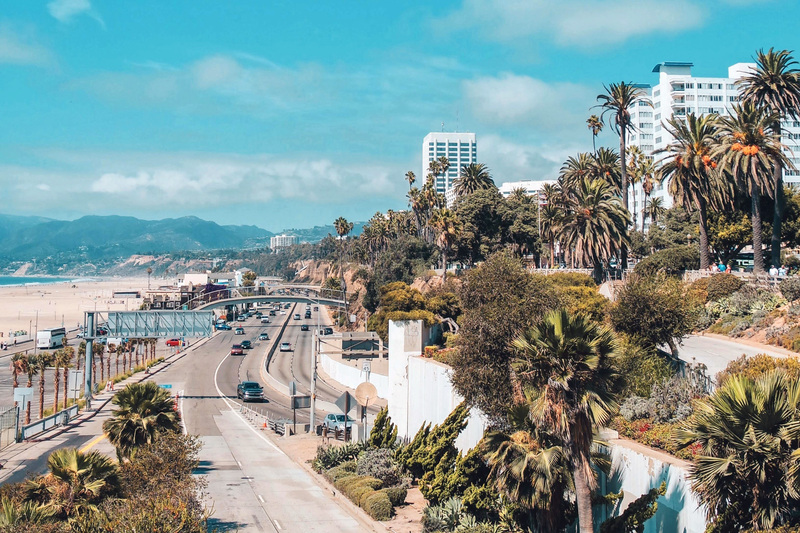 SaMo has more than enough going for it to justify its status as a separate city to Los Angeles, but we’re not here to argue about city borders. 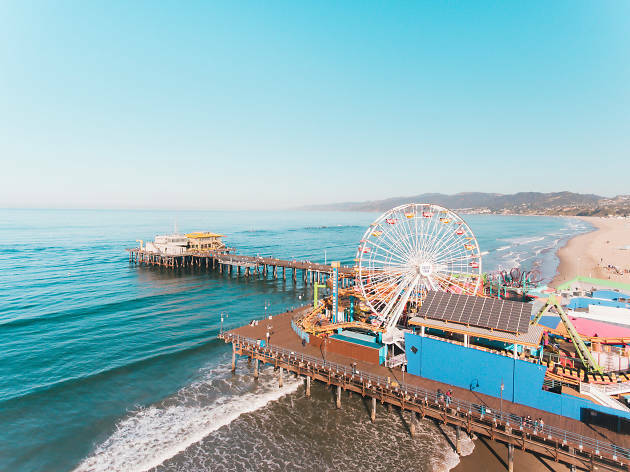 Instead, we’re here to help you fill that coveted, less-trafficked window between morning rush hour and happy hour with a trip to Santa Monica’s most essential attractions. 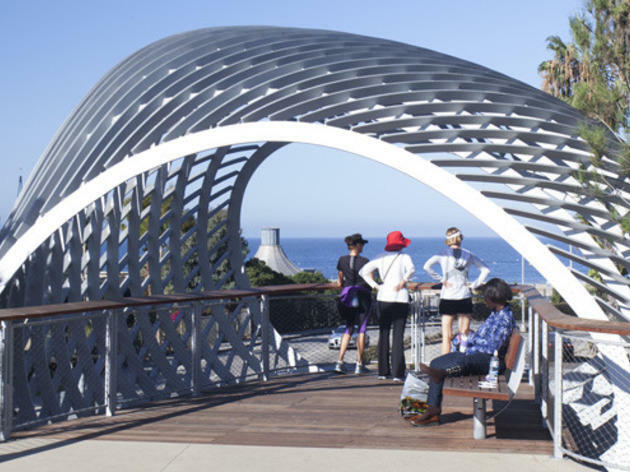 For stunning views of the ocean and Santa Monica Mountains, this bluff-top park along Santa Monica’s northern coast is the spot. It’s the classic image of L.A.’s coastline that lives in most people’s heads. 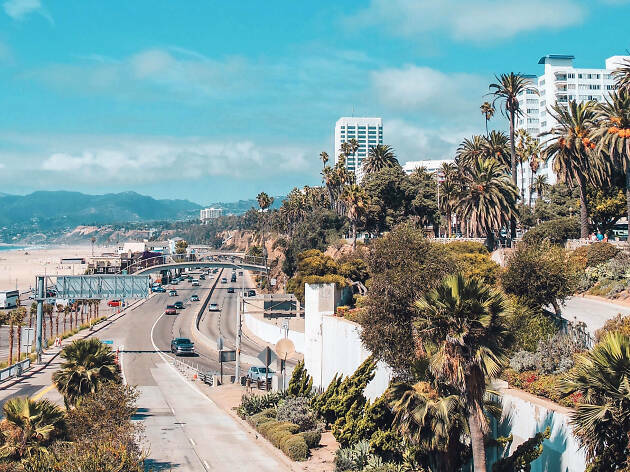 Steer clear of the tourist packed section by the Santa Monica Pier and instead keep toward the Pacific Palisades-adjacent end, past the stately concrete sculpture at Wilshire and the colorful totem pole at San Vicente. Running the length of Santa Monica itself, this huge beach is usually packed with people, but has a festive, summer-holiday feel to it. 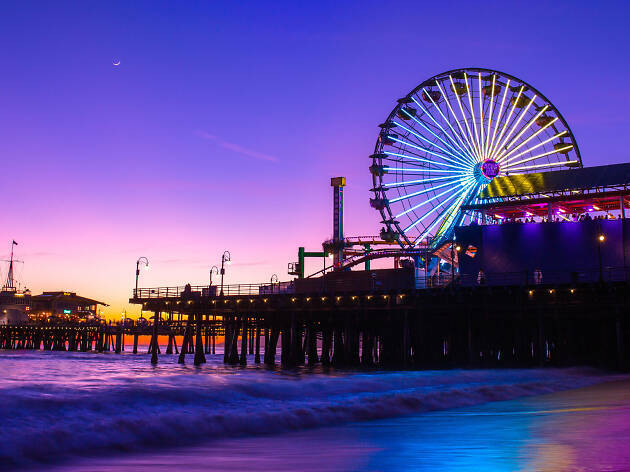 The main attraction is the world-famous Pier, and the biggest crowds can be found clustered around it. If you’re looking for a more relaxed vibe, stroll out as far as you can for quieter patches. There are bathrooms, bike paths and paid parking positioned along almost the entire stretch of beach. Looking for more of L.A.’s best beaches? 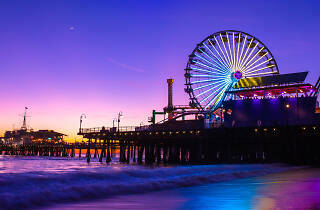 The center and focal point of Santa Monica Beach, Santa Monica Pier is home to a whole host of different attractions. Pacific Park is a traditional fair with a roller coaster and Ferris wheel, plus plenty of fairground games, an aquarium and a classic carousel housed in the historic Looff Hippodrome. There are also regular outdoor music and film events hosted at the Pier, bringing a different, hipper crowd to the boardwalk. 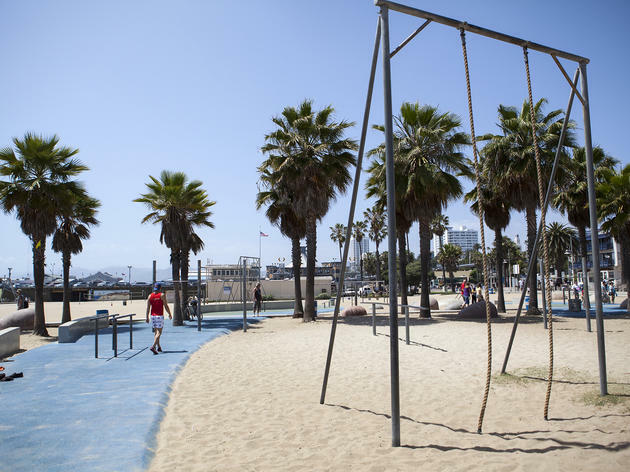 Not to be confused with its showier Venice twin, this workout playground for grown-ups has given Santa Monica’s biggest burliest somewhere to sweat and strut their stuff for a century. On weekends, you’ll see some amazing gymnasts tackle the parallel bars, uneven bars and rings swings. Even with all that machismo, the vibe here stays friendly and no one will mind if you choose to get involved, or just sit and take it all in. 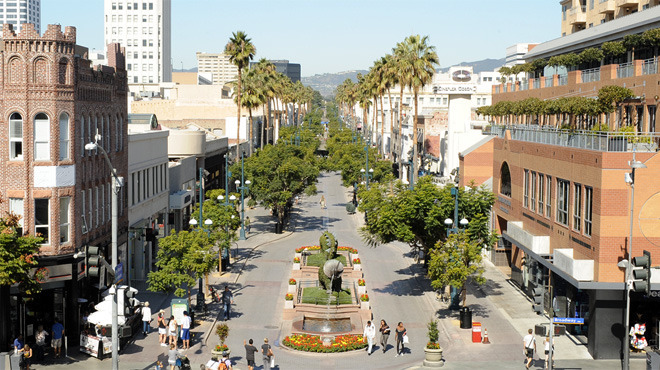 A four-block pedestrianized stretch that runs down Third Street from Wilshire Boulevard to Colorado Avenue, Third Street Promenade is a pleasant but commonplace parade of mostly familiar names. The restaurants are ordinary, but the Wednesday morning farmers’ market makes up for it. 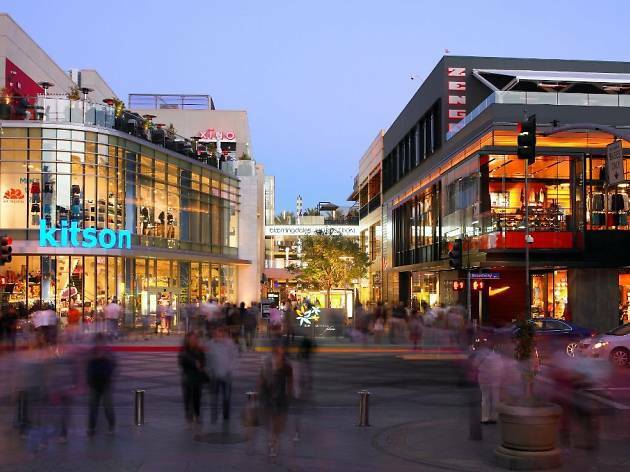 Located at the southern end of the Third Street Promenade, this revamped shopping center is packed with upscale department stores and designer boutiques from brands like Barney’s New York and Louis Vuitton. 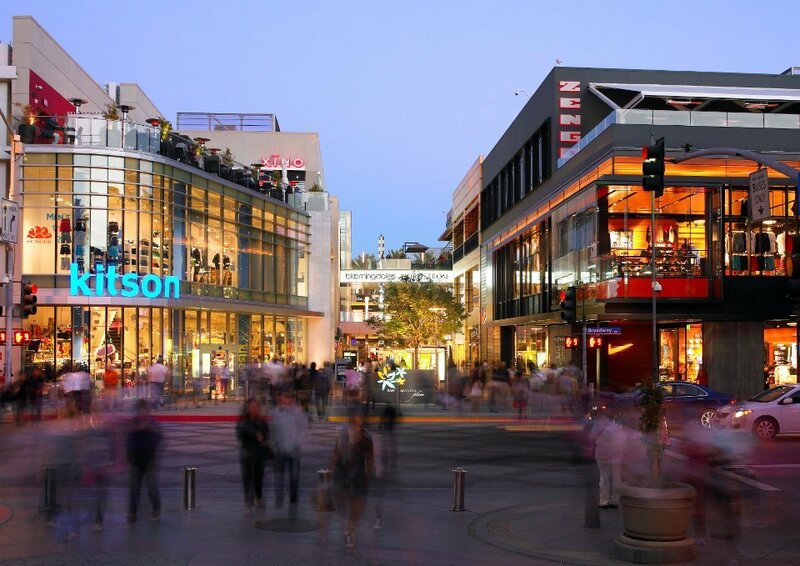 There are three floors of sophisticated shopping to browse, set around an open-air courtyard. When you’re next sat in a local restaurant and feel tempted to ask the server where the incredibly fresh vegetables on your plate came from; don’t bother. 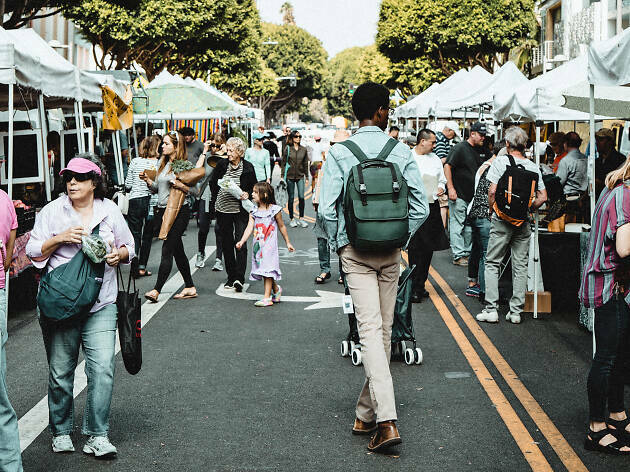 We can save you the trouble and answer that for you: the Santa Monica’s Farmers’ Market, of course. 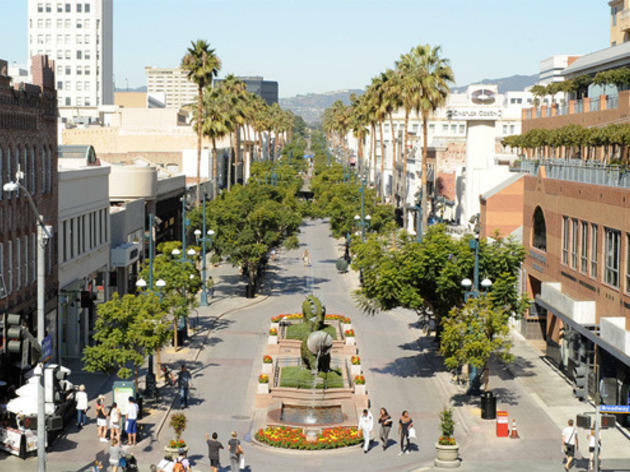 The market takes place on Saturdays and Sundays in other parts of Santa Monica, the best day to pay a visit is Wednesday when it fills Arizona Avenue. Find the rest of L.A.’s best farmers’ markets. 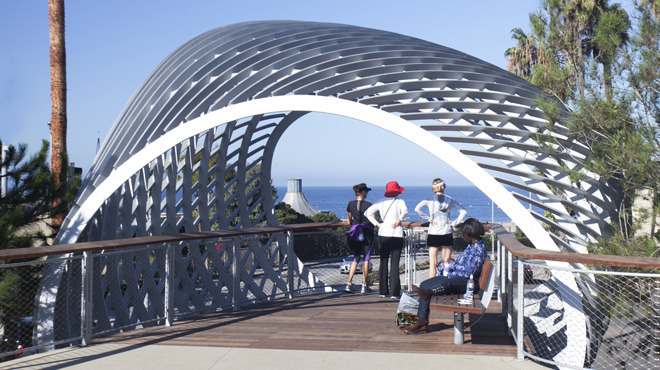 What was once just another concrete parking lot has been transformed into a oceanside oasis of green space at Santa Monica’s Tongva Park. It’s just one example of many similar projects across L.A. - and who could complain after taking a wander round this beautiful parkland. This idyllic and well-designed verdant space includes a playground, waterfalls, walking paths, meadows and a conch-like, wireframe lookout to the Pacific. 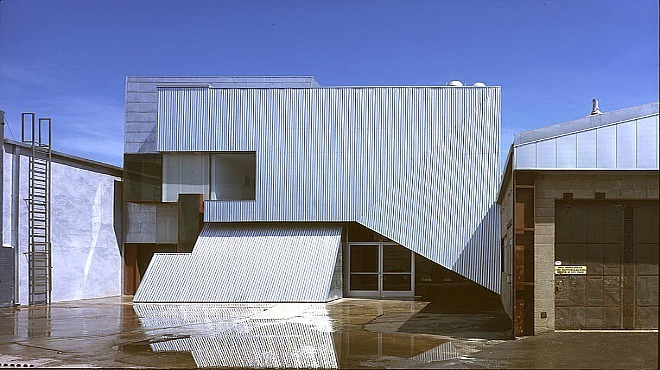 Artist Iñigo Manglano-Ovalle’s kinetic sculpture, Weather Field No. 1, anchors the park as a serene and unforgettable landmark. 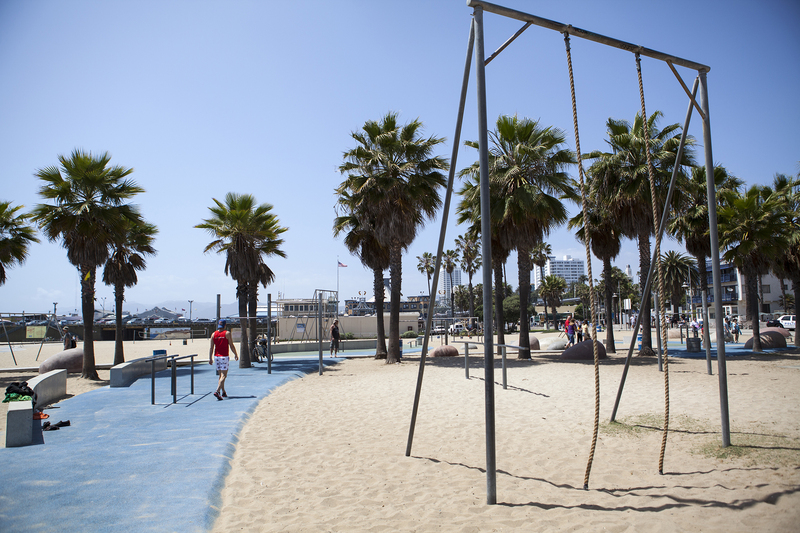 Relax in more of the best parks in L.A.. This curious old optical contraption is a historical and offbeat place to catch your breath, whether you’re waiting for late stragglers to your dinner reservations or trying to find a quiet escape from the pier. Though the technology behind this rudimentary camera-like room is thousands of years old, it still feels like magic. Have an hour to kill along Ocean Avenue? 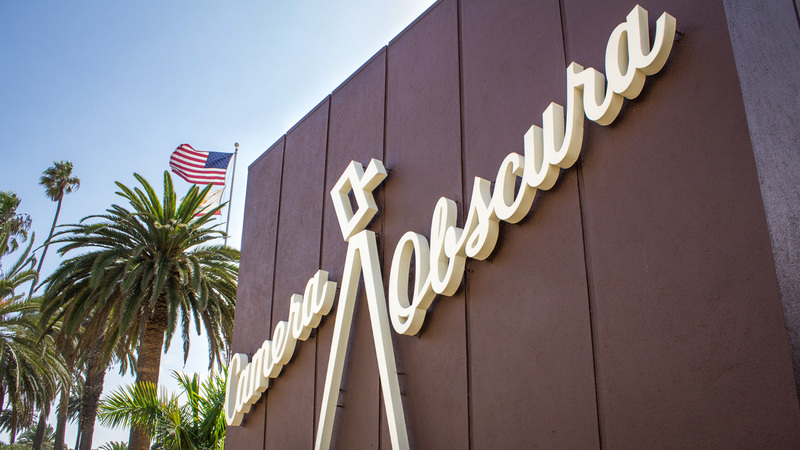 Take a step inside the Camera Obscura. Does your idea of a good time involve some serious aerobics and muscle burn? 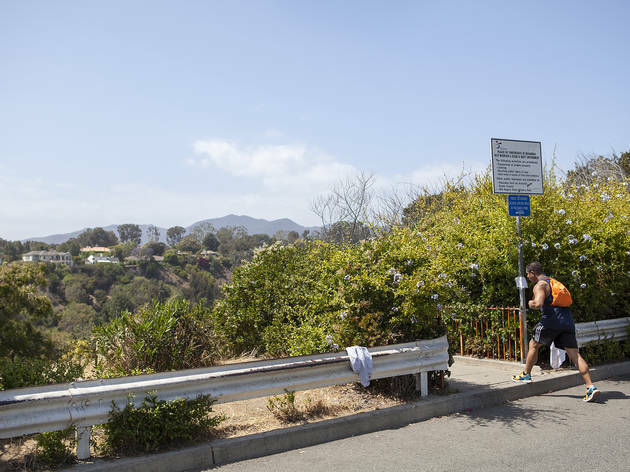 Well, get yourself over to these twin Santa Monica stairs that are a mecca for hard bodies and weekend fitness warriors. You can choose to ascend via either 199 concrete steps or 170 (wider) wooden steps. 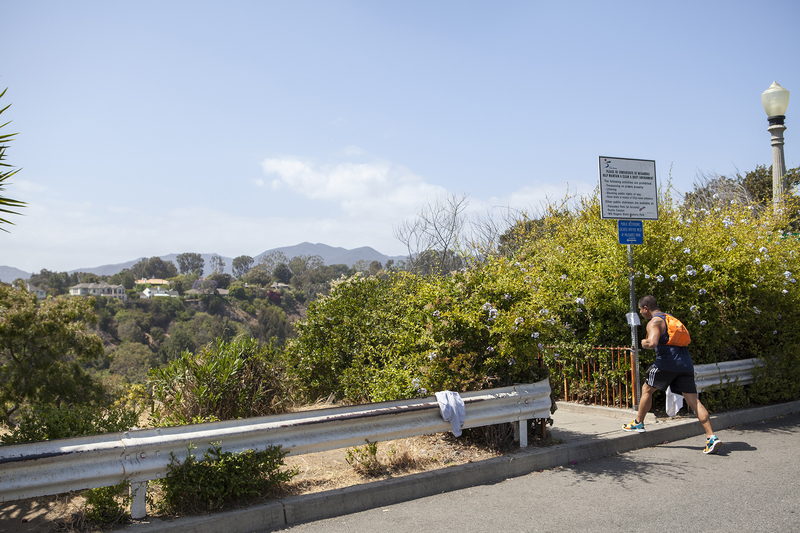 If it’s all a bit too corwded, jog over to Mesa Road and less well known La Mesa stairs. Blink and you’ll miss the narrow entryway wedged between 404 and 410. Feel the burn at these other free L.A. workouts. This modern community beach club was originally built by William Randolph Hearst in the 1920s as an opulent beachfront estate for Hollywood star Marion Davies. These days, it’s very much open to the public. The five-acre beach house includes a recreation room for games as well as a swimming pool, sports facilities, a cafe and paddle board rentals. 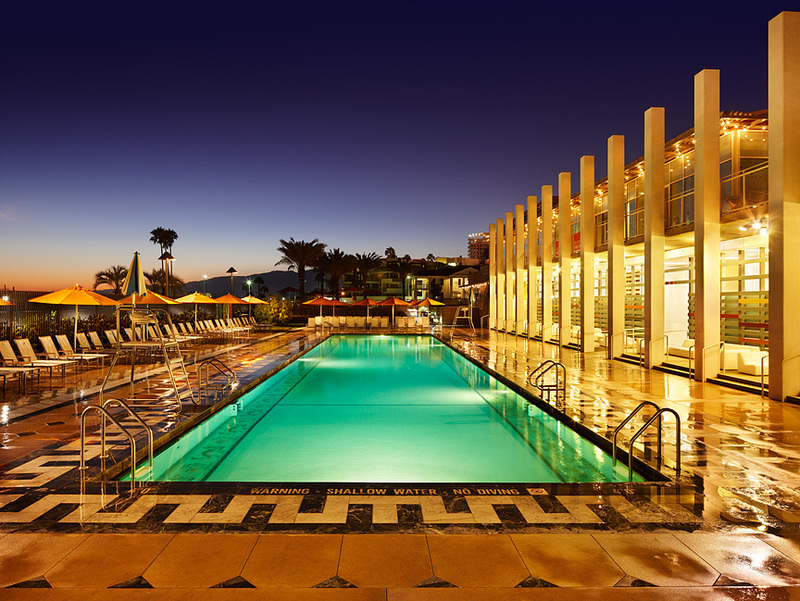 You can also take a sunset swim on the second Friday of each month during the summer (6:30–9:30pm). Splash around in some other public pools throughout L.A.
It’s the oldest operating airfield in L.A. County and the birthplace of the Douglas DC-3. 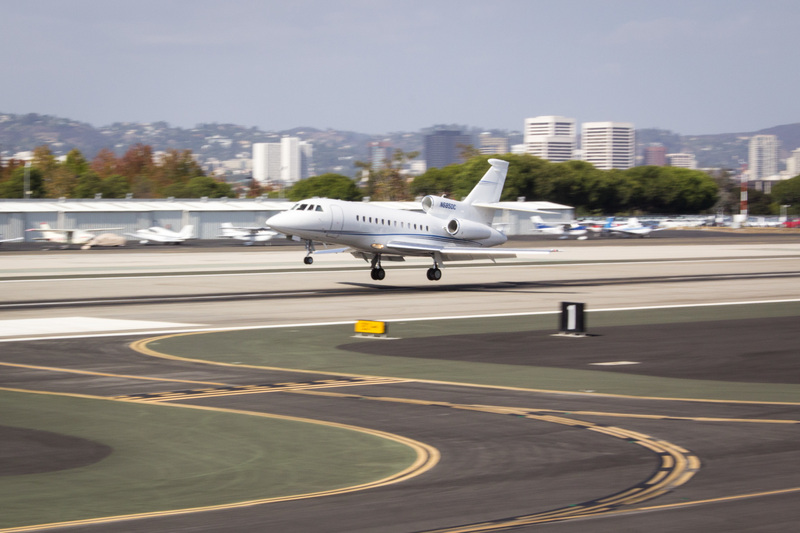 Originally called Clover Field, the Santa Monica Airport has developed over time into an arts incubator and is home to a number of creative venues housed in converted airplane hangars like Santa Monica Art Studios and the Ruskin Group Theatre Co.
Have an hour to kill near the 10 or the 405? 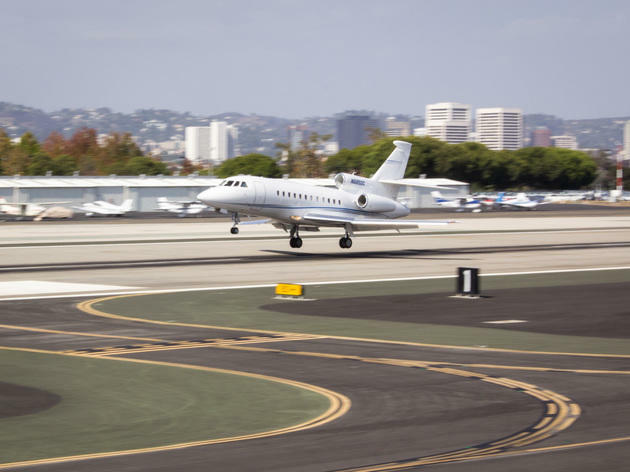 Watch planes land up-close at Santa Monica Airport. 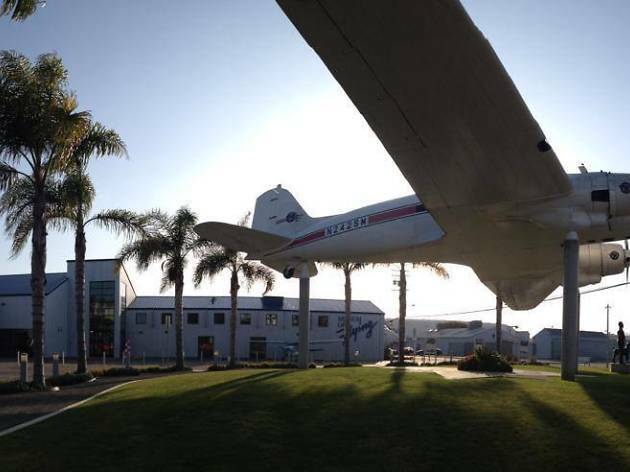 This small museum dedicated to the history of aviation moved into new premises at the Santa Monica Airport in February 2012. 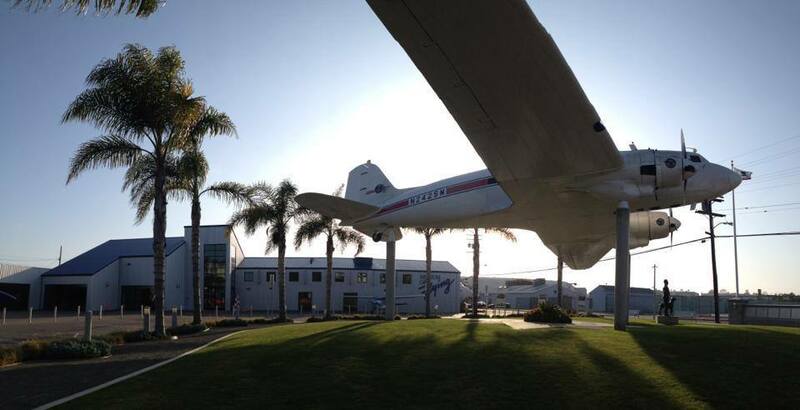 Inside you can learn all about the history of Southern Californian aviation companies including, Boeing, Lockheed, North American and Northrop with numerous exhibits and displays bringing the planes and their stories to life. Flight fans will love the carefully preserved static and flyable aircraft that call this place home. 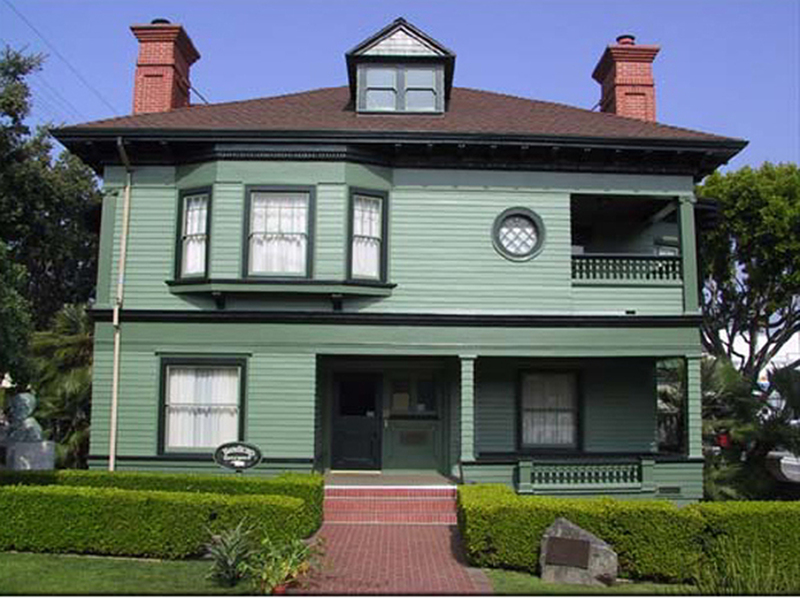 Step out of the sun and take in a bit of California history in a restored 1894 house. Though the house itself—devoted to the Victorian period—is worth a look, rotating exhibitions on topics related to the region are the real draw. 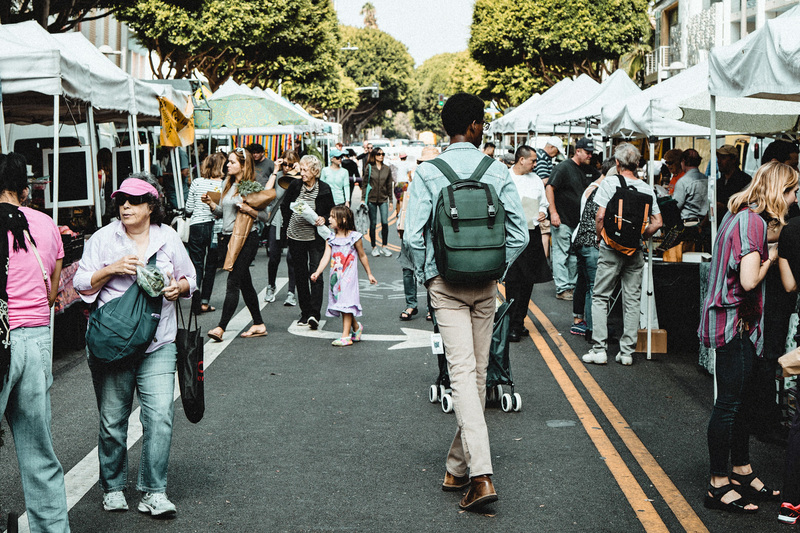 The museum is at its busiest on Sundays, though only outside: It hosts the Santa Monica Farmers’ Market every Sunday morning. Home to 30 different contemporary and fine art galleries, this artsy enclave is the perfect destination for cheap dates and lazy days. 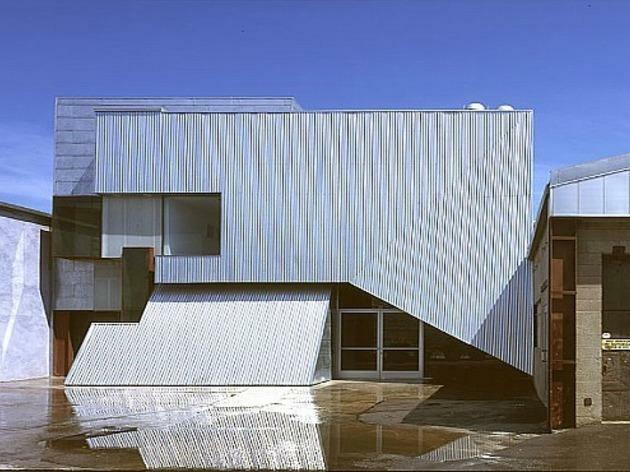 If the art doesn’t do anything for you, the edgy architecture, stylish café (housed in an old heater factory that serves meatloaf and mint lemonade), and fragrant stands of wild bergamot scattered about should amp up the atmosphere. 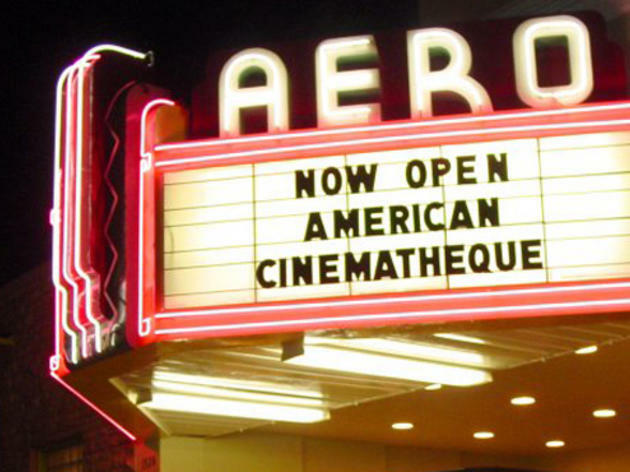 The Aero Theatre has been in operation since the 1940, a history and legacy it flaunts with screenings of classic films and contemporary independent cinema. 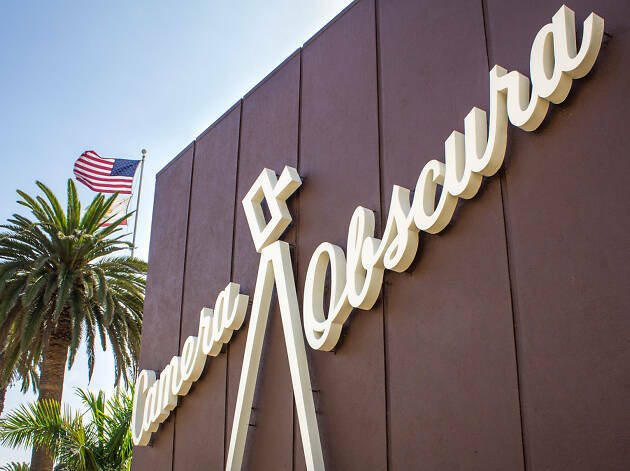 This Art Deco landmark also hosts special feature programs plus director lectures and appearances. 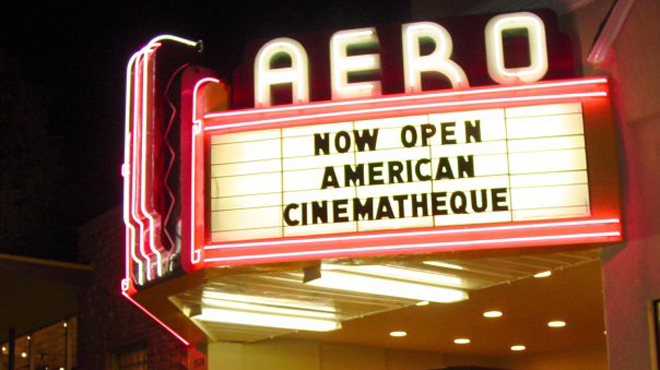 The Aero is operated by American Cinematheque, who also runs the famous Egyptian Theatre in Hollywood - another venue film buffs should take the time to visit. Catch a film at some of our other favorite movie theaters. 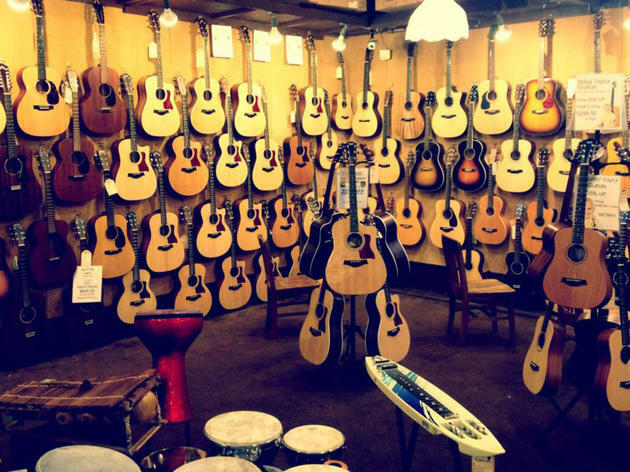 A revered guitar shop by day, stocked to the ceilings with rare and obscure guitars and other instruments, McCabe’s also has a cozy back room where performances are held in an intimate environment. 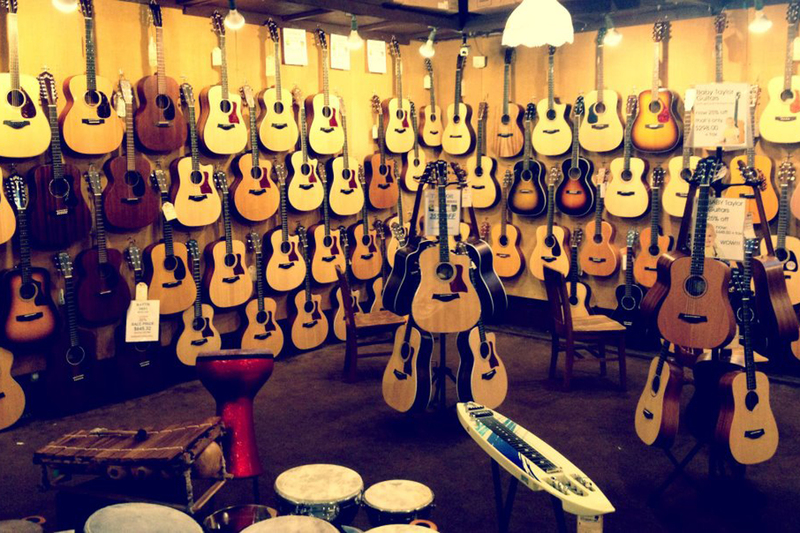 Gigs are usually held on Fridays, Saturdays and Sundays but it’s a worth a visit just to gawp at the dozens of beautiful guitars hanging from the walls.